Intensely pungent, richly vibrant, deeply sweet, startlingly original. Complex spice (cinnamon, clove, nutmeg), herb (fresh cilantro, parsley), baker’s chocolate, lime zest, sweetly pungent spirits (Brazilian cachaça?) in aroma and cup. Deeply sweet and roundly tart in structure. Full, syrupy mouthfeel. The shifting, layered intrigue in the cup carries far into a long, resonant finish. This exceptional coffee was selected as the No. 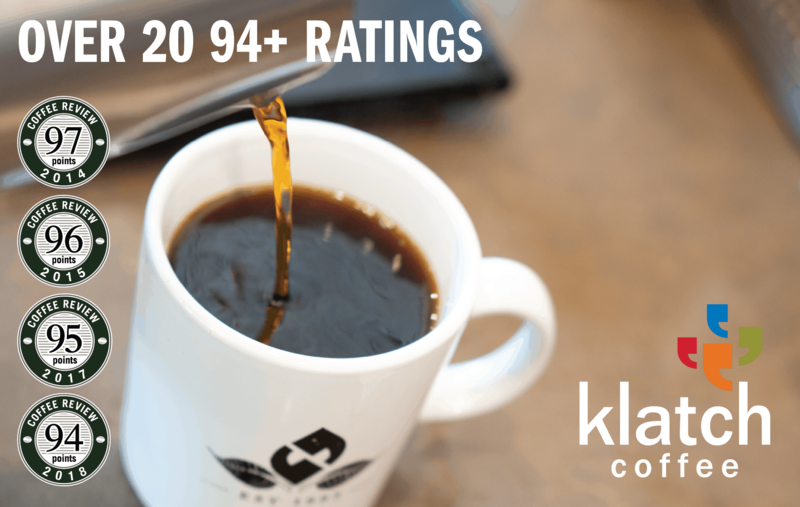 5 coffee on Coffee Review’s list of the Top 30 Coffees of 2018. 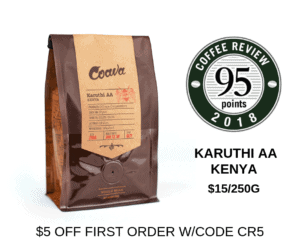 Comprised entirely of beans from the rare Sudan Rume, a presumably very old variety of Arabica originally selected from wild trees growing on the Boma Plateau of Sudan, close to the border with Ethiopia. Processed by the dried-in-the-fruit or natural method. Produced by Rigoberto Herrera at Granja La Esperanza in Colombia, an innovative producer that specializes in impressive and innovative work with unusual cultivars of Arabica. Roasted at PT’s Coffee, where the motto is “without the love, it’s just coffee.” Visit www.ptscoffee.com or call 888-678-5282 for more information. The Bottom Line: An adventurer’s coffee from the get-go. In fact, especially at the get-go, when the odd, intense, sweet pungent sensation confronts us, then softens, opening up to a deep, layered intricacy.